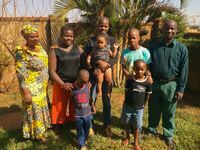 In January 2017, I had the privilege of visiting our missionary, Bill Issa, and his family in Kampala, Uganda. 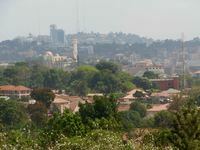 Kampala and the immediately surrounding area have a population of almost 4 million, and is one of the fastest growing cities in Africa. 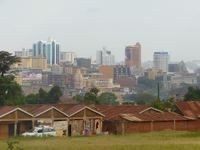 This was my first visit to Uganda, and I would have to rate it fairly high among the African countries I have visited in terms of friendliness and development. I arrived late Saturday night, and Sunday morning joined Bill’s church, Reconciliation Baptist Church, for worship. Pastor Bill led the adult Bible study and preached during the morning service, then we shared a meal and visited through the afternoon, and I closed the day by preaching the evening service. As you can see in the photos below, the church meets in Bill’s garage, which is now overflowing with people. Please pray that they can find a larger and more public meeting place. 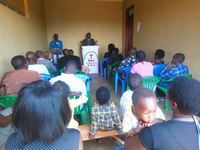 It is significant that Reconciliation Baptist Church has grown to this size in just a few years. 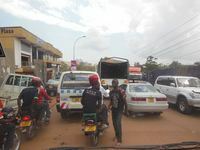 You see, the Prosperity cult, with their promise of miracles and physical prosperity, rules the religious scene in Uganda (and much of Africa). They are considered ‘true Christianity,’ while Baptists are considered heretics. The Baptists in turn consider Reformed Baptists to be heretics. This places Bill’s church among the least and the worst in the eyes of his countrymen, not a bad place to be according to 1 Corinthians 1. Any church that truly believes, preaches, and practices Scripture is mocked and despised in a country where almost everyone claims to be a “Christian.” Bill knows this all too well, having spent many years in the Prosperity cult himself. 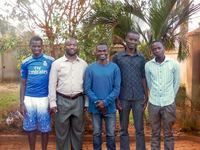 On Monday we toured some of Kampala, then that evening I met with a group of young men that Bill is training in biblical doctrine and church leadership. I spoke with them on the importance of showing the glory of Christ to struggling saints. Brother Bill had already demonstrated this practice on Sunday morning. His sermon was from Matthew 10, where Christ sends out the twelve. Rather than jump immediately into the commands to those who are sent, I was thrilled as Bill first looked at the Sender. Beautiful! 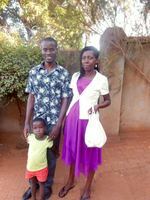 One of the men that Bill is training is named Asuman (see the photo of Asuman’s family below). His testimony is truly a remarkable story of God’s grace. Asuman grew up in a Muslim family and his father was a witchdoctor. The ancestor spirits chose Asuman to be the successor to his father. Asuman did not want to become a witchdoctor and rejected his “calling.” The following years were very difficult for him. 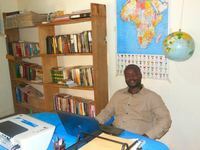 During that time, he met Bill, who was a fellow schoolteacher with Asuman. 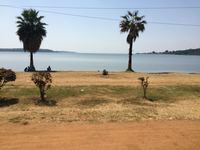 Bill shared the gospel many times with Asuman, who strongly rejected the message and even threatened Bill with violence. 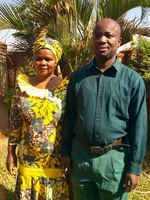 Eventually the Lord broke Asuman and he trusted Christ as his Savior. This led to further problems as his Muslim family now disowned him. When Asuman married his wife, his family refused to be part of the wedding. 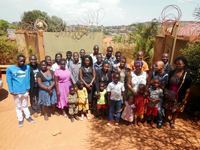 In a beautiful display of Christian love, Reconciliation Baptist Church served as his family and took responsibility for arranging the wedding. Because Asuman refused to become a witchdoctor, his father prophesied that he would never have children. As you can see in the photo below, his wife was 8 months pregnant when I visited. Before writing this update, I saw the news that she had given birth to a healthy baby boy. God displays His power over spiritual forces of darkness and wickedness! 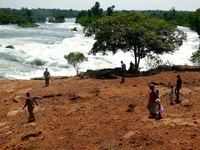 Before bidding farewell to the Issa family, we traveled together to Itanda Falls on the mighty Nile River, near its source where it exits Lake Victoria. 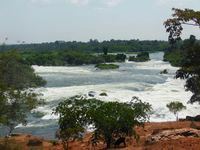 It brought back many memories of my beloved Zambezi in Western Zambia. What a precious family and what a fun trip as we spent the day together. For a larger and more public meeting place. For growth in size and spiritual maturity. For godly men to join Bill in church leadership. 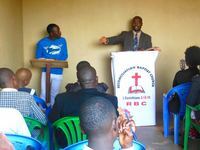 For God to raise up more laborers to spread the true gospel in Uganda.